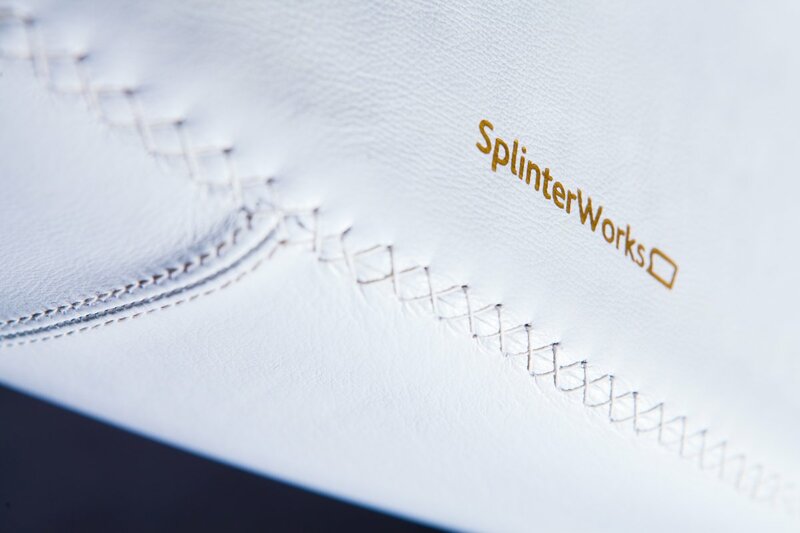 The Bodice Rocker has been designed by SplinterWorks. 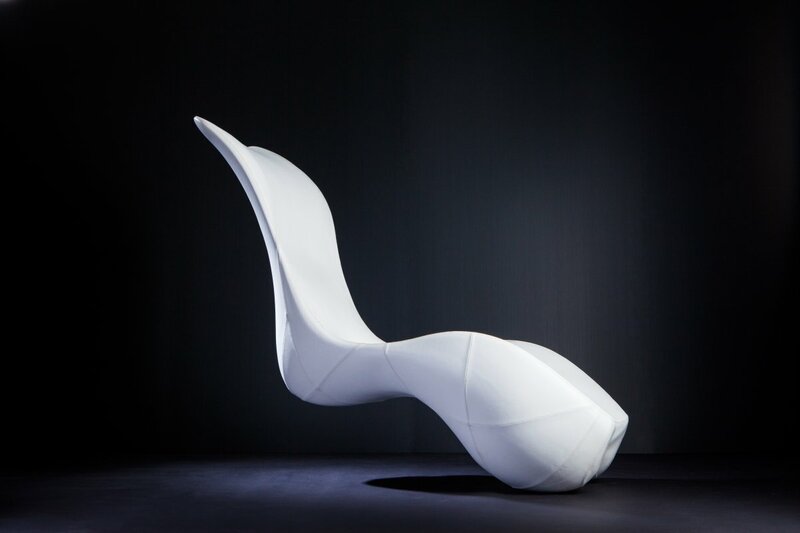 This unique piece offers curvy seating and when positioned vertically, a sculptural delight with viewers suggestions including an arched foot, a bust and even a derrière. 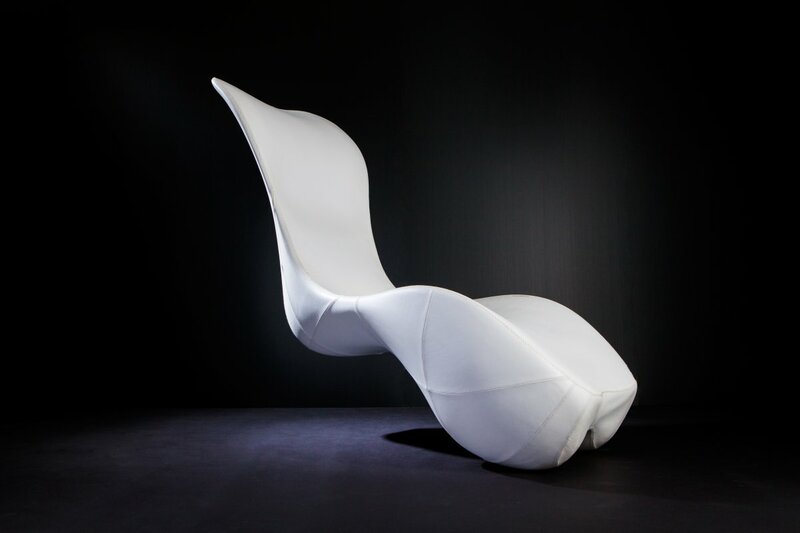 “Born out of a love for curvy silhouettes and illusion, the Bodice Rocker is a unique object that offers a number of fresh perspectives. 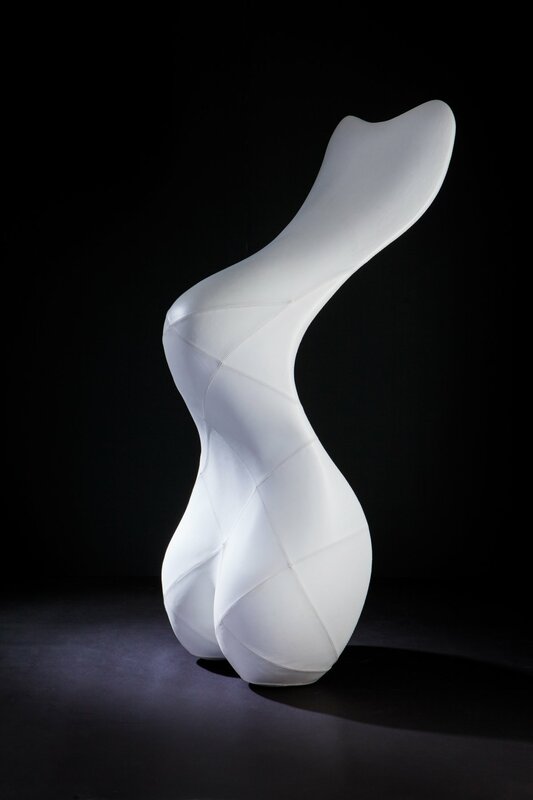 Poised vertically it takes on an anthropomorphic sculptural form. 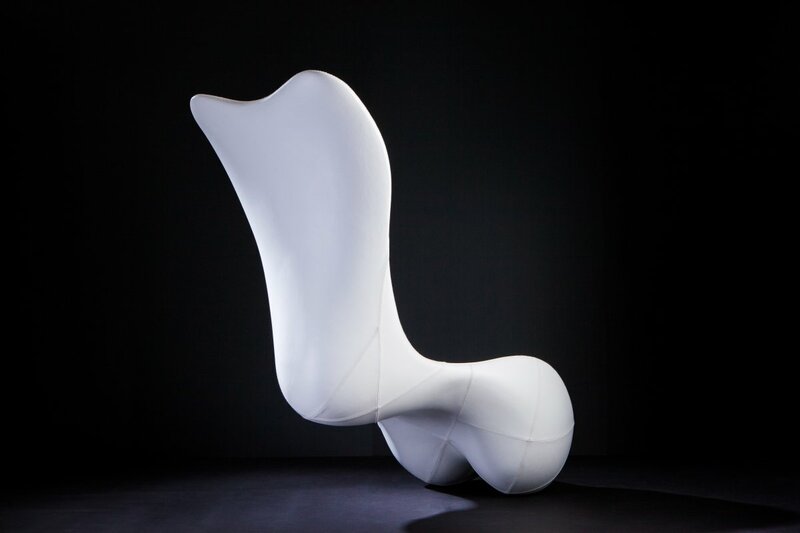 While some viewers may perceive a bust, or derrière, others might see an arched foot among the suggestive curvaceous forms. 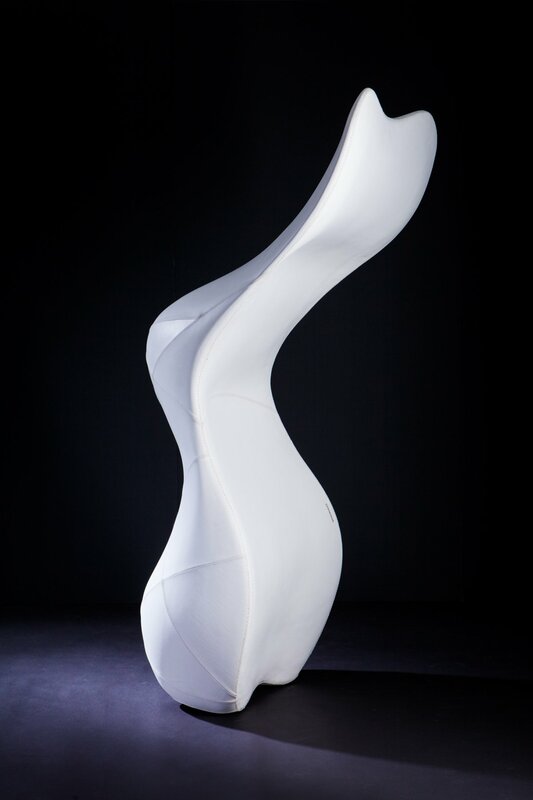 Originally sculpted by SplinterWorks founder and artist Matt Withington, Bodice Rocker was developed with co-founder Miles Hartwell to perform its unique trick: with a light touch, it gently rocks back and pauses mid-air, as if weightless, inciting a double-take by seeming to defy the pull of gravity. 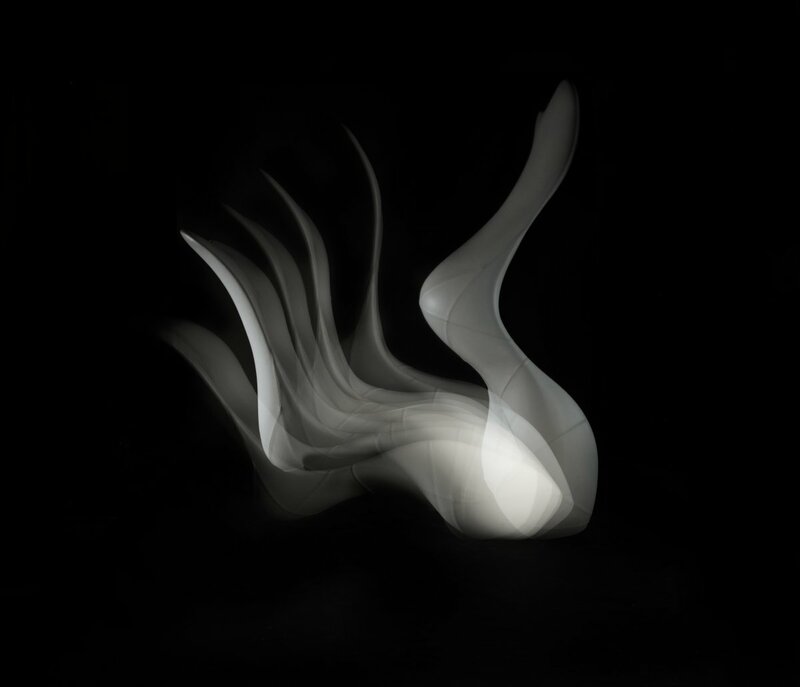 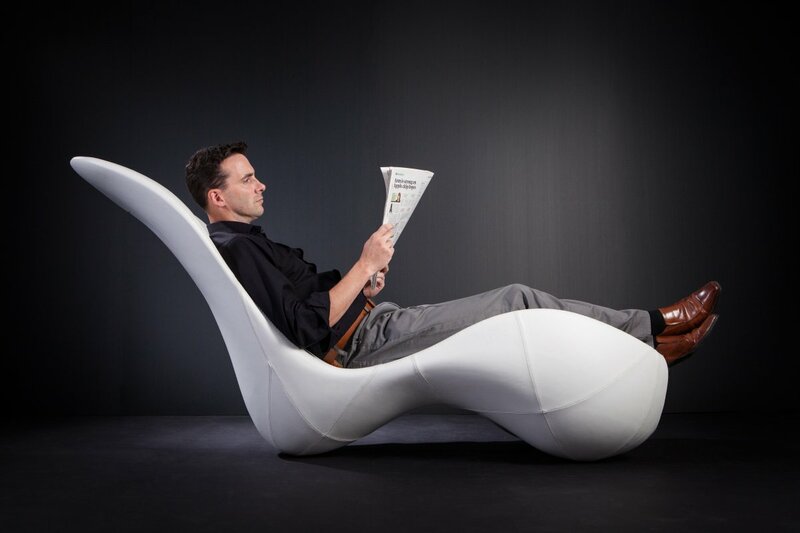 In this position it reveals the more familiar profile of a chaise longue, albeit levitating! 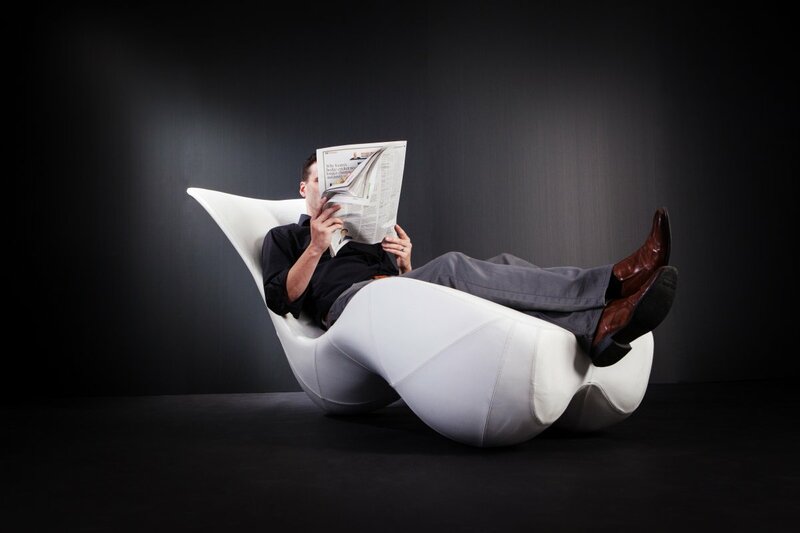 With a second nudge it draws to the ground where you can sit and stretch out comfortably on soft padded leather.